Police charge Senator Dino Melaye – Royal Times of Nigeria. The Nigerian Police on Wednesday have confirmed the re-arrest of Senator Dino Melaye (APC, Kogi West), after his arraignment and subsequent bail at a Wuse Zone 2 Chief Magistrate’s Court in Abuja. 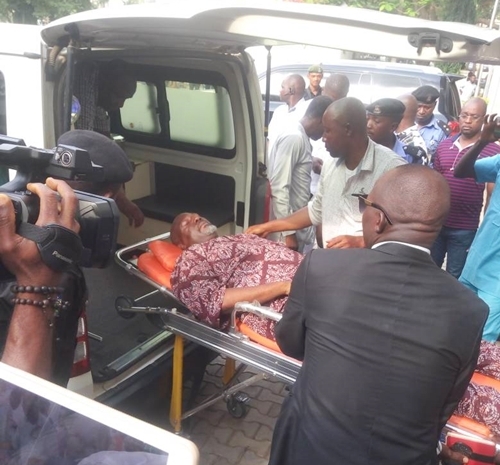 In a statement signed by the Force Public Relations officer, Jimoh Moshood, the police said Melaye was arraigned at the Magistrate Court for alleged criminal conspiracy, causing damage to government property, attempted suicide and escape from lawful custody. 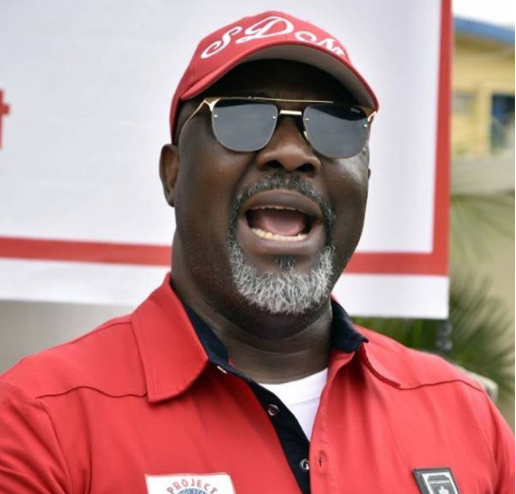 The statement reads, “It will be recalled that, on the 24th April, 2018, at about 1200Hrs, Senator Dino Melaye while in lawful custody of the Nigeria Police Force and being taken for arraignment for Conspiracy and Unlawful Possession of Prohibited Firearms in Court in Lokoja, from Abuja, escaped from lawful custody when hoodlums and miscreants in Two (2) Toyota Hilux Vehicles blocked the Police vehicle conveying Senator Dino Melaye around Area 1 Round About, Abuja and in the process the Senator broke the side glass of the vehicle and jumped out of the Police bus through the window and was rescued from the Police men by hoodlums and miscreants to an unknown destination before he was rearrested at Zankli Hospital in Abuja later in the day on same date. This case was investigated and that is why the senator was arraigned in court today,”. “Meanwhile, the police investigation team re-arrested Senator Dino Melaye today, 2nd May, 2018 after his arraignment at Chief Magistrate Court, Wuse for the pending offences of Criminal Conspiracy and Unlawful Possession of Prohibited Firearms already filed in a court of competent jurisdiction in Lokoja for which he will be arraigned without further delay,”.